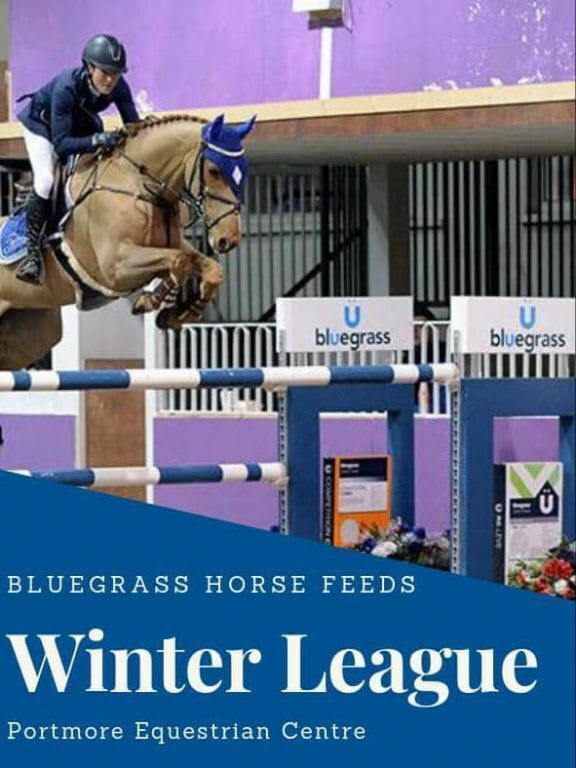 As you all know this year is our 20th anniversary and as part of our celebrations, for the first time, we are hosting the Bluegrass Horse Feeds Winter League at the Bluegrass Arena at Portmore Equestrian Centre. BLUEGRASS Horse Feeds is hosting an unregistered showjumping league over six weeks and is inviting riders to compete across nine different classes. The Bluegrass Horse Feeds Winter League will take place in the Indoor Bluegrass Arena at Portmore Equestrian Centre starting on October 13 and running throughout October and November with the final taking place on December 1. To get your hands on a Bluegrass Horse Feeds Christmas hamper, you must compete four weeks out of this six-week league. Ashley Neely, the sales and marketing co-ordinator at Bluegrass Horse Feeds, said this is a fantastic opportunity for unregistered riders to have some fun whilst competing in this fantastic facility by international course builder Rafael Suarez. "The six week league starts at 10am this Saturday 13, and we will be giving away Bluegrass goodie bags for every double clear each week so we look forward to welcoming you to Portmore. Rafael Suarez, who runs Portmore Equestrian Centre, said: “"This will be an exciting league which will run over six weeks. You don't have to register in advance and each class will be £10.00 to enter. The league will run throughout October until November as we have some very exciting events during those months including the four-day Autumn Championship on 25- 28 October”.